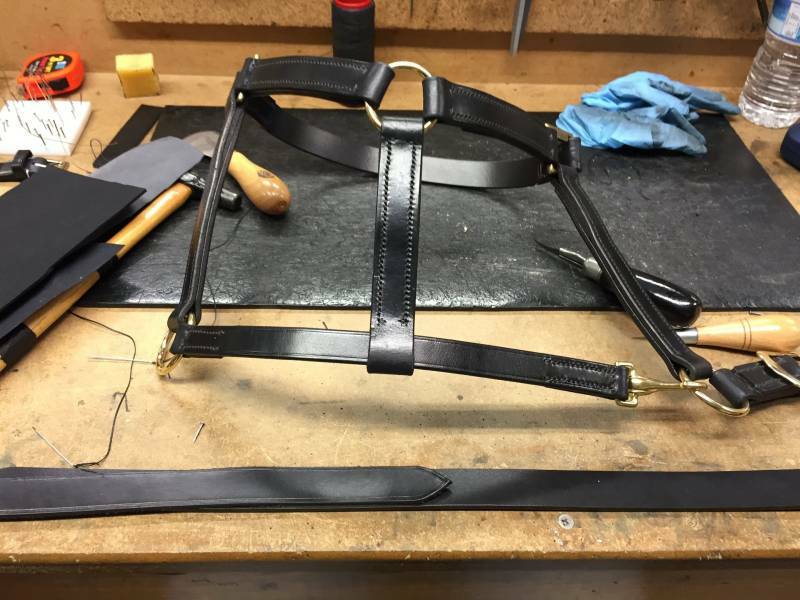 I love working with leather be it cleaning, restoring or making. 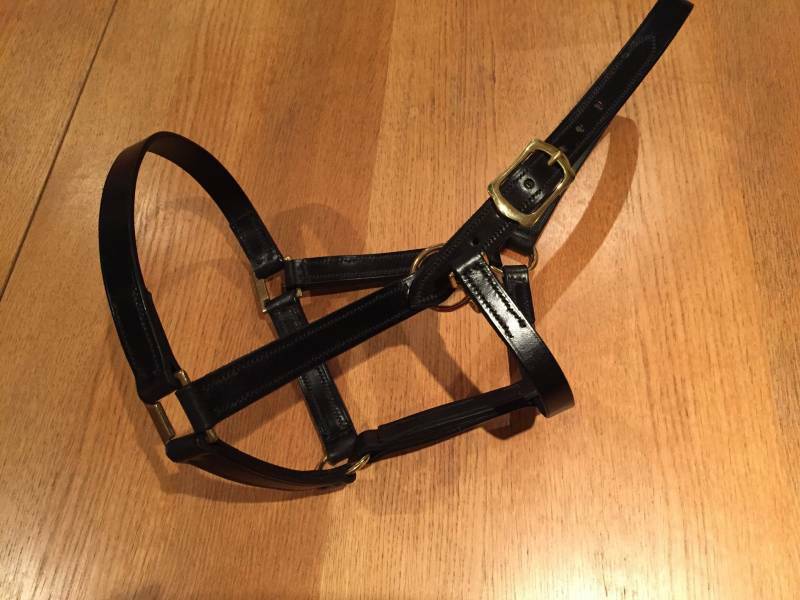 I had great fun in producing this head collar for my client and was pleased when she sent me a photo of George waring the finished item. My client was so happy with the collar that she ordered a number of bespoke dog collars.